Choosing a sympathy gift of remembrance for anyone who has lost a baby can be so difficult. 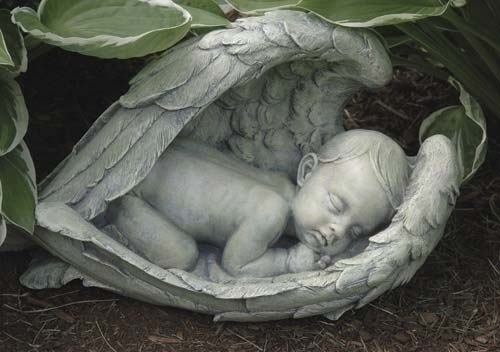 The garden statue, Baby in Angel Wings, is a loving memorial to souls taken too soon. Our tranquil baby figurine is surrounded by the tender wings of an angel. An ideal accent for a garden memorial. Statue is suitable for indoor or outdoor use.